I joined the University of the Sunshine Coast Tropical Aquaculture Research (USC TAR) team workingwith the Marama Shellcraft Fiji (MSF) group in May 2017. My role was as a trainer with the USC TAR project Developing pearl industry based livelihoods in the Western Pacific, which aimed to help improve the livelihoods of local women and their families. It is often said that pearls are the gems of the sea, and Fiji’s pearls are outstanding! The variety of pearl products on the world market range from pearl-shell jewellery and handicrafts, through to high-end jewellery sold for hundreds of thousands of dollars. 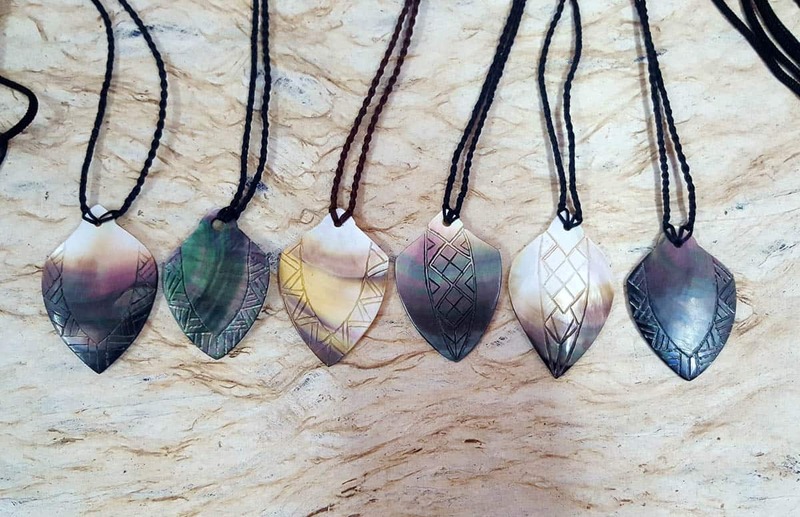 The Marama Shellcraft Fiji (MSF) group, within the Ba Women’s Forum, Fiji, is part of a joint effort to expand local mother-of-pearl (MOP) jewellery and handicraft industries, reduce Fiji’s reliance on imported pearl products and boost local livelihoods. South Pacific women are essential to this effort and are vital to the region’s economy and social well being. Most village women juggle the roles of mother, housekeeper and agricultural worker and the majority live below the poverty line. 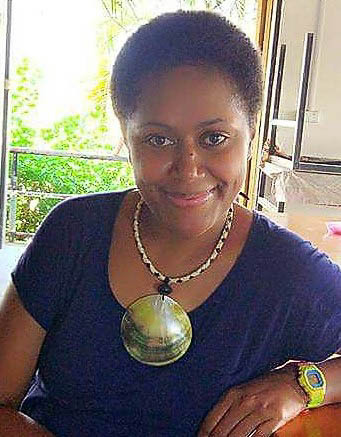 The development of pearl-industry-based livelihoods in Fiji, through collaboration between the Australian Centre for International Agricultural Research (ACIAR), Fiji Fisheries, the University of the Sunshine Coast (USC) and Ba Women’s Forum, is helping to empower women and family units to achieve economic independence. MSF has its roots back to early 2013, when a series of MOP handicraft-training programs were held in Fiji for women’s groups as part of an ACIAR-funded project. 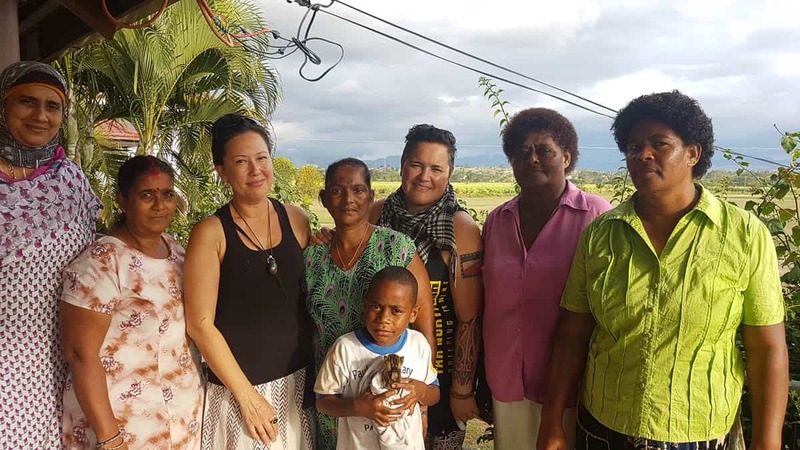 Established as a collaboration with the Ba Women’s Forum (BWF) and Ba Town Council, a workshop facility was built in the council-owned women’s bure (Fijian for a wood-and-straw hut, sometimes similar to a cabin) in Ba town centre. Local and New Zealand-based trainers were employed to work with major retail outlets to create unique local products. 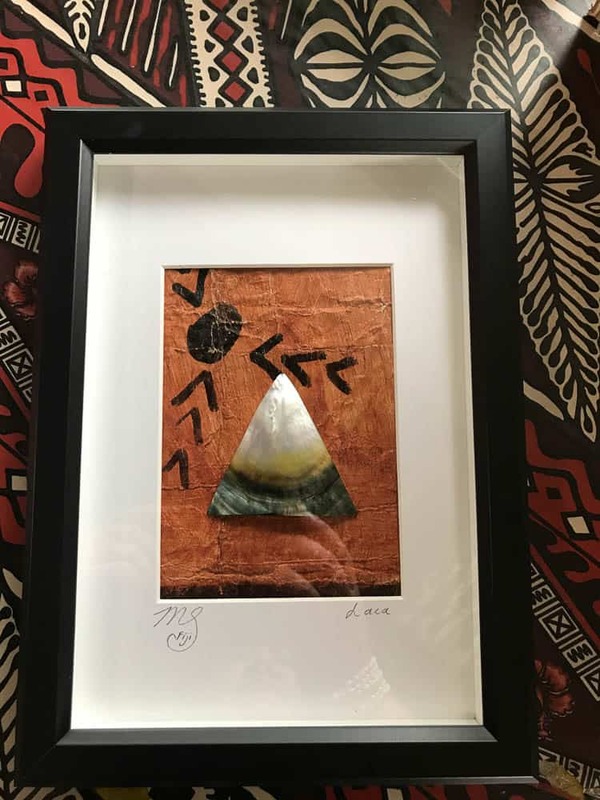 Marie Erl (New Zealand contemporary and traditional jewellery designer and trainer), and Robert Kennedy (Fiji-based fashion designer, and Tappoos handicrafts buyer-retailer) worked with the BWF to create a portfolio of prototype designs. Traditional and modern artistry were integrated into the jewellery designs with dominant use of the MOP shell. Local materials were used to enhance the Fiji-made accreditation. Uniqueness and quality positioned the products in the +$FJ50 for fashion items range and +FJ$100 for premium everyday wear. 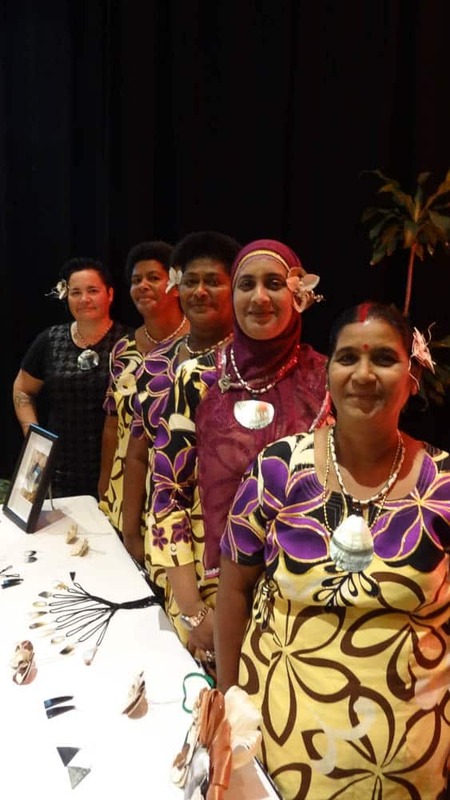 The group’s first official product launch in September 2014 showcased a range of their jewellery at a fashion event in Suva encompassing 20 variations of fashion wear and 14 variations of everyday-wear items. Fashion connoisseurs and retail representatives had the opportunity to view and purchase the jewellery, and discuss being part of the new venture. The launch resulted in the group’s jewellery becoming available for purchase by the general public through original stockists, Tappoo, other retail outlets and well-known cruise ships. South Pacific tourist trade in MOP handicraft and jewellery items has been dominated for a long time by imported items from South East Asia. 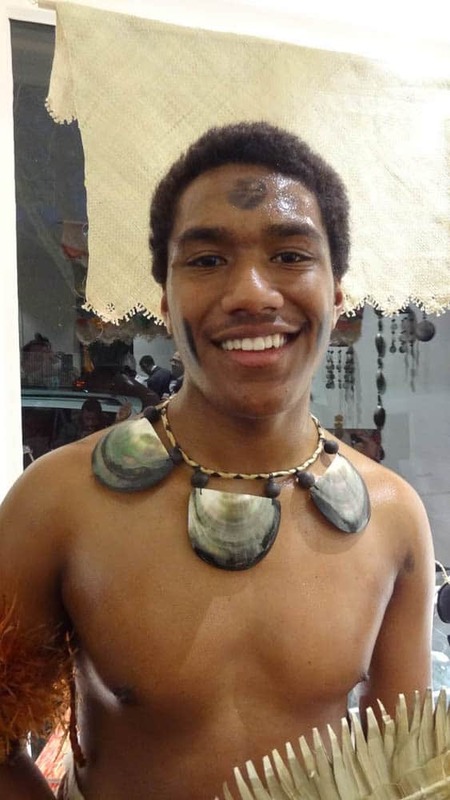 It is estimated that the Fijian pearl shell jewellery industry has an annual value of around F$10 million, of which only about 10% has been met by locally-produced items. However, MSF’s resilience and ongoing success and confidence are helping to turn this around. There is a strong demand from tourists for items with a Fijian origin and style, and MSF is now successfully producing pieces that meet this demand. While so far, MOP handicraft training has just been held in Ba, broad interest among other villages and increasing availability of MOP in the region means there is considerable potential for similar training to be conducted throughout Fiji. For the first time in Fiji’s history, the region is developing a structured and effective oyster supply program for its developing cultured pearl industry, and more oysters are available for pearl farmers and communities throughout Fiji. This is supporting a growth in MOP handicraft production. The availability of pearl shells is the result of many years of local, ACIAR-funded research. To this day, ACIAR and Fiji Fisheries are developing reliable and sustainable oyster collection programs across the country, bolstering pearl farming and enabling greater access to pearl and pearl shell material. Since the group’s early evolution, MSF has advanced from a talented and hard-working, amateur team, to a registered small business in 2016. Workshop facilities were recently upgraded and the group have their own trading account to manage business expenses and income. Operations run a minimum of three days per week, and MSF has also started recruiting for new trainees for 2018. I became MSF’s senior artist and teacher in 2017, and have helped generate new designs and design skills within the group, and a range of new products. My approach uses language, culture and art as inspiration. I also teach sustainability through the use of local materials, local labour and local design. 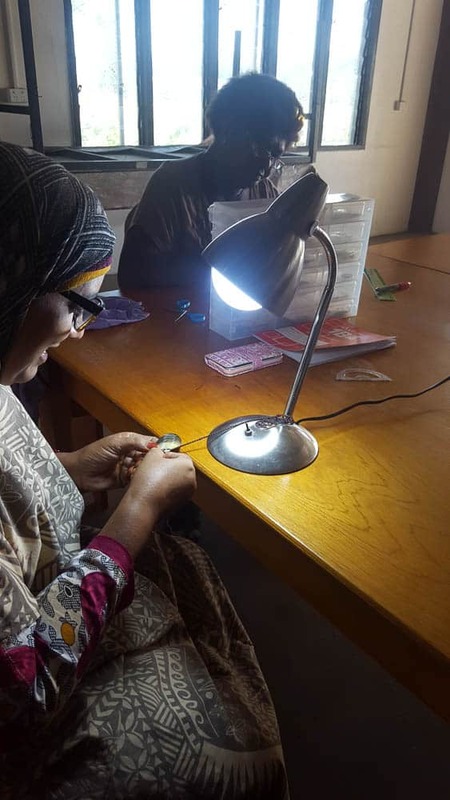 The original goal of this work was to equip trainees with the confidence to make MOP jewellery and other handicraft products a long-term and sustainable venture. This goal is now becoming a reality. MSF is providing an excellent opportunity to empower mature-aged, unemployed women and men. The long-term future of MSF looks bright, with increasing interest in the products they produce and the many benefits this has for local people and the economy. 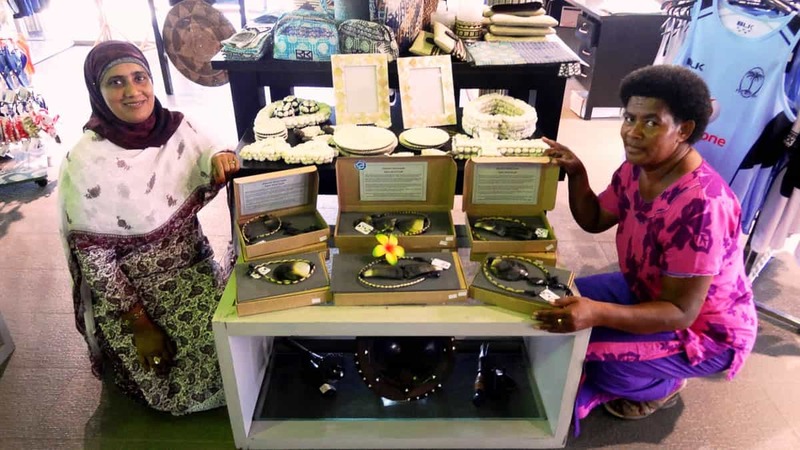 Ultimately, Fiji will see more of this type of training and business development, including the establishment of business models and locally-owned jewellery-making companies, so that the country and its people experiences sustainable and profitable livelihood benefits. Ba is a town in Fiji, 37 kilometres from Lautoka and 62 kilometres from Nadi, inland from the coast of Viti Levu, Fiji’s largest island.